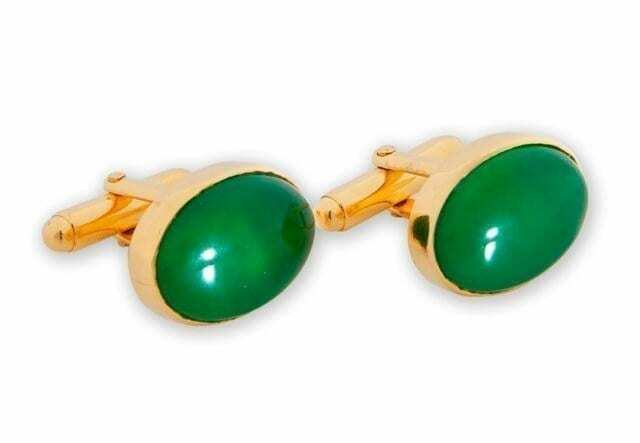 A beautiful high quality impressive Korean jade gold plated (5 Microns 18K Gold) sterling silver. 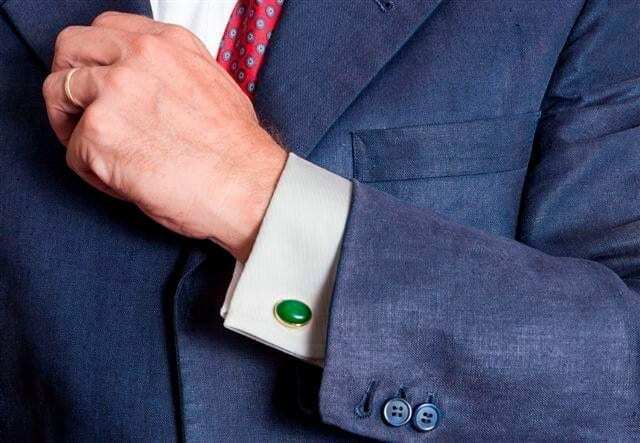 Korean Jade is actually a type of serpentine–a genuine natural gemstone. 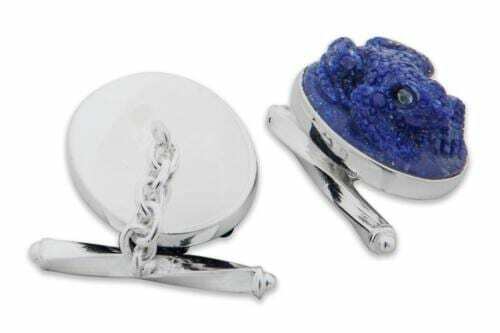 Each oval cut gemstone measures 18 x 13 x 5 mm (11/16 x 33/64 x 13/64 inch) attached to a swivel that threads easily through your cuffs. 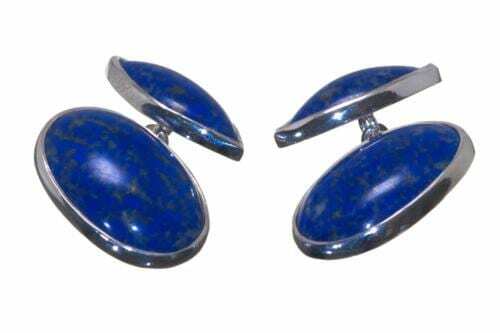 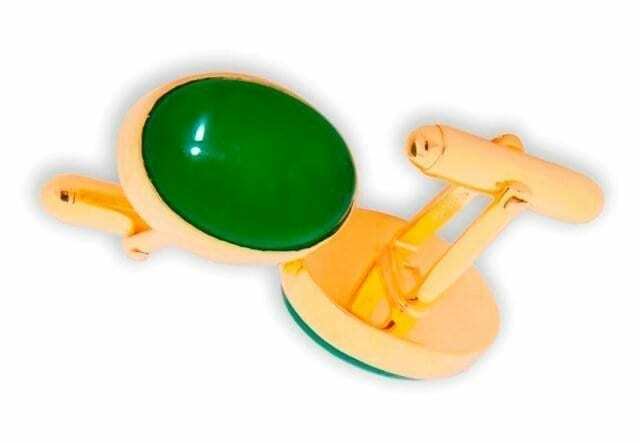 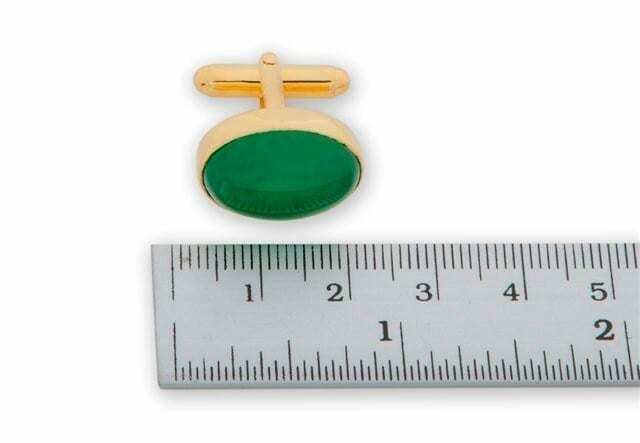 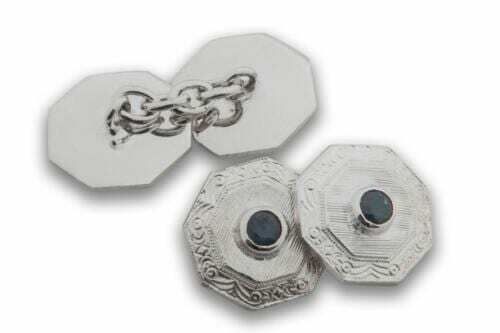 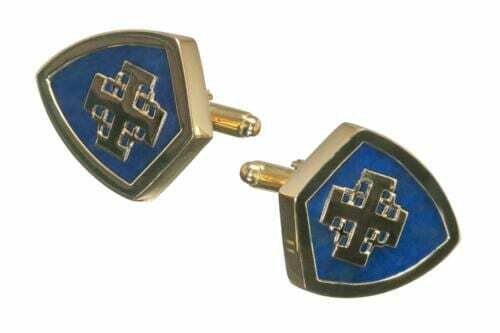 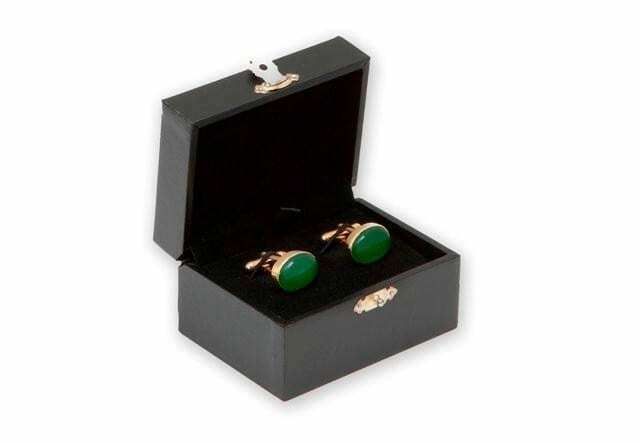 These large, good, strong and very impressive cufflinks are suitable for formal occasions or very smart casual wear.